Here is a list of the most important financial modeling steps: (1) enter 3-5 years of historical financial information into Excel, (2) calculate the historical ratiosFinancial RatiosFinancial ratios are created with the use of numerical values taken from financial statements to gain meaningful information about a company. The numbers found on a company’s financial statements – balance sheet, income statement, and cash flow statement are used to perform quantitative analysis and assess a company's liquidity, leverage, growth, trends, and analysis for the company, (3) make assumptions about how the business will perform in the future, (4) forecast the income statementIncome StatementThe Income Statement (or Statement of Profit and Loss) shows performance from operations of a business. 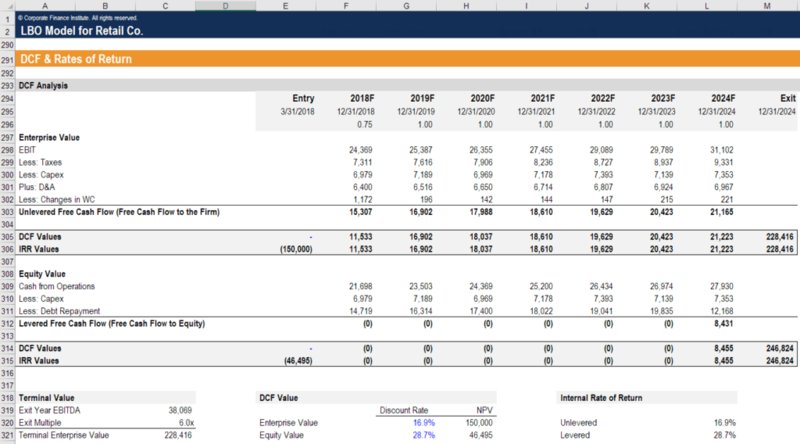 The financial statement begins with revenues and, balance sheet, and cash flow statement, (5) calculate free cash flow to the firm, (6) perform discounted cash flow (DCF) analysisDCF Analysis InfographicHow discounted cash flow (DCF) really work. This DCF analysis infographic walks through the various steps involved in building a DCF model in Excel. to value the company, (7) conduct sensitivity and scenario analysis, (8) perform error checking and stress-test the model, (9) create charts, graphs and tables, and (10) present the results of your analysis and recommendations.